For any production deployment, you may like to have the ability to bundle custom images, with a custom set of applications or configuration. This chapter will guide you through the process of creating Linux images of Debian and Redhat based distributions from scratch. We have also covered an approach to bundling Windows images. There are some minor differences in the way you would bundle a Linux image, based on the distribution. Ubuntu makes it very easy by providing cloud-init package, which can be used to take care of the instance configuration at the time of launch. cloud-init handles importing ssh keys for password-less login, setting hostname etc. The instance acquires the instance specific configuration from Nova-compute by connecting to a meta data interface running on 169.254.169.254. While creating the image of a distro that does not have cloud-init or an equivalent package, you may need to take care of importing the keys etc. by running a set of commands at boot time from rc.local. The process used for Ubuntu and Fedora is largely the same with a few minor differences, which are explained below. In both cases, the documentation below assumes that you have a working KVM installation to use for creating the images. We are using the machine called ‘client1’ as explained in the chapter on “Installation and Configuration” for this purpose. The approach explained below will give you disk images that represent a disk without any partitions. Nova-compute can resize such disks ( including resizing the file system) based on the instance type chosen at the time of launching the instance. These images cannot have ‘bootable’ flag and hence it is mandatory to have associated kernel and ramdisk images. These kernel and ramdisk images need to be used by nova-compute at the time of launching the instance. However, we have also added a small section towards the end of the chapter about creating bootable images with multiple partitions that can be be used by nova to launch an instance without the need for kernel and ramdisk images. The caveat is that while nova-compute can re-size such disks at the time of launching the instance, the file system size is not altered and hence, for all practical purposes, such disks are not re-sizable. The first step would be to create a raw image on Client1. This will represent the main HDD of the virtual machine, so make sure to give it as much space as you will need. Download the iso file of the Linux distribution you want installed in the image. The instructions below are tested on Ubuntu 11.04 Natty Narwhal 64-bit server and Fedora 14 64-bit. Most of the instructions refer to Ubuntu. The points of difference between Ubuntu and Fedora are mentioned wherever required. Connect to the VM through VNC (use display number :0) and finish the installation. During the installation of Ubuntu, create a single ext4 partition mounted on ‘/’. Do not create a swap partition. In the case of Fedora 14, the installation will not progress unless you create a swap partition. Please go ahead and create a swap partition. After finishing the installation, relaunch the VM by executing the following command. At this point, you can add all the packages you want to have installed, update the installation, add users and make any configuration changes you want in your image. Shutdown the Virtual machine and proceed with the next steps. Observe the name of the loop device ( /dev/loop0 in our setup) when $filepath is the path to the mounted .raw file. Make a note of the mount point of our device(/dev/loop0 in our setup) when $filepath is the path to the mounted .raw file. You will need to tweak /etc/fstab to make it suitable for a cloud instance. Nova-compute may resize the disk at the time of launch of instances based on the instance type chosen. This can make the UUID of the disk invalid. Hence we have to use File system label as the identifier for the partition instead of the UUID. Since, Fedora does not ship with cloud-init or an equivalent, you will need to take a few steps to have the instance fetch the meta data like ssh keys etc. Copy the kernel and the initrd image from /mnt/boot to user home directory. These will be used later for creating and uploading a complete virtual image to OpenStack. 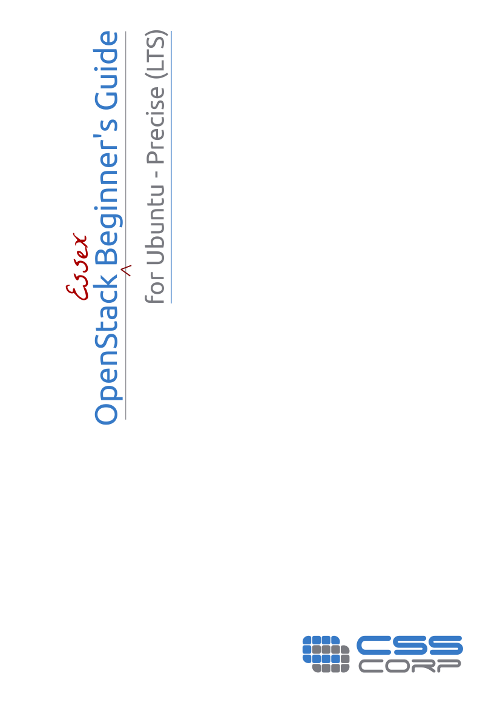 Now, we have all the components of the image ready to be uploaded to OpenStack imaging server. For Fedora, the process will be similar. Make sure that you use the right kernel and initrd files extracted above. uec-publish-image, like several other commands from euca2ools, returns the prompt back immediately. However, the upload process takes some time and the images will be usable only after the process is complete. You can keep checking the status using the command ‘euca-describe-images’ as mentioned below. You can register bootable disk images without associating kernel and ramdisk images. When you do not want the flexibility of using the same disk image with different kernel/ramdisk images, you can go for bootable disk images. This greatly simplifies the process of bundling and registering the images. However, the caveats mentioned in the introduction to this chapter apply. Please note that the instructions below use server.img and you can skip all the cumbersome steps related to extracting the single ext4 partition. The first step would be to create a raw image on Client1, this will represent the main HDD of the virtual machine, so make sure to give it as much space as you will need. After the Installation is over, boot into it once and install any additional applications you need to install and make any configuration changes you need to make. Also ensure that RDP is enabled as that would be the only way you can connect to a running instance of Windows. Windows firewall needs to be configured to allow incoming ICMP and RDP connections. For OpenStack to allow incoming RDP Connections, use euca-authorize command to open up port 3389 as described in the chapter on “Security”. Thanks! this made my day ! the “Bootable Images” doesn’t seem to work in a VLAN mode. While the image successfully register, and the instance seen as “running”, euca-get-console-output returns nothing, and the instance is unreacheable. To me it seems to be related to the fact that you don’t bundle the ari and aki with the image. The ‘Bootable Images’ topic is a hack to skip the steps related to extracting the ext4 partition. If you want an image that is similar to OpenStack pre-bulit images and one which works fine in different networking modes, please read all the topics mentioned above ‘Bootable Images’. Hi, It’s finally working, I suspect the image-registering process went fubar due to and out-of-disk-space issue. Thanks a lot for that great guide. I got to step “Tweaking /etc/fstab” and mounted serverfinal.img to /mnt, but I could not find /etc/fstab there. How can I edit /mnt/etc/fstab ? All previous steps work fine. I also tried the Bootable Image option which did work. It worked for using root account. I’m trying to execute following command. Any Suggestion Please. I executed all the steps on client1. Hi. I was faced with the same error message and did this to resolve.